A flash RAM-based SSD gives your PC amazing speed, but it’s expensive by the gigabyte. An old-fashioned, spinning-platter hard drive gives you vast amounts of storage for very little money. But if you use both, and set them up intelligently, you can enjoy a hard drive’s mass storage without losing too much performance. Devices like Western Digital’s WD Black² put two drives—an SSD and a hard drive—into one container with one SATA connector. For instance, the Black² has a 120GB SSD and 1TB HDD. Thus, you can have speed and mass storage together. But these hybrids have their problems. They’re difficult to install, and often require special software for setup. And you can’t just clone your hard drive to the hybrid; you must move Windows to one drive and most of your data to the other. That can be tricky. Worse, these drives tend to be 9.5mm thick, which means they don’t fit in all laptops. 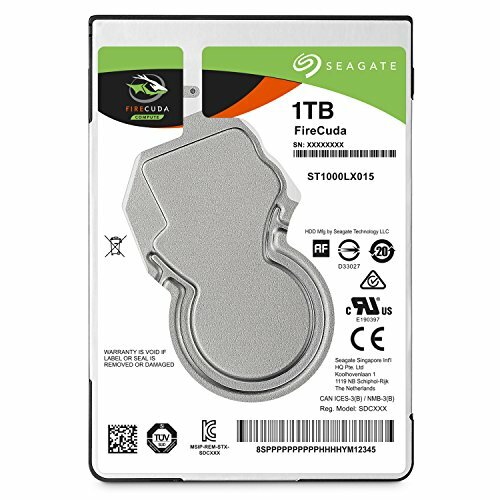 Drives like those in Seagate’s SSHD line use flash RAM as a cache to speed up the hard drive. Because they’re seen by the PC and by Windows as a single drive, you can simply clone the old drive to the new one. They come in all thicknesses. You’ll almost certainly find one that fits in your drive bay. On the other hand, they’re not as fast as a two-in-one hybrid. This is the cheapest and easiest solution, but it’s also the slowest and rather unwieldy. Install an SSD into your laptop (see our roundup of the best SSDs), and put Windows, your programs, and your frequently used data files there. 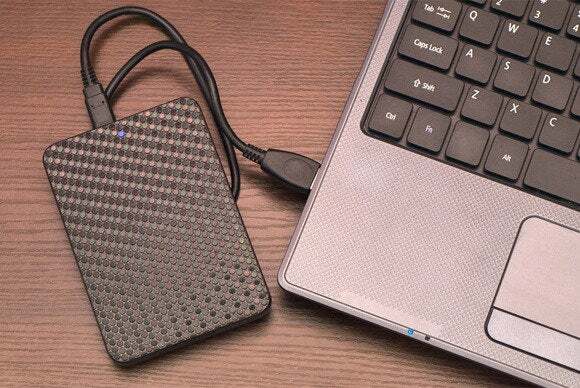 Then put everything else on an external hard drive (see our roundup of best external drives). Don’t even consider this unless your laptop has a USB 3.0 port, and make sure you have a USB 3.0 drive, as well. USB 2.0 is painfully slow for this sort of work. A NAS box will probably be faster and more convenient than an external drive—once it’s working properly. But it will almost certainly be more expensive and more difficult to set up and if you work remotely, access to files will be problematic. Yes, they’re expensive—close to $300 for 1TB as I write this. But this is the fastest and simplest solution.